We are looking for anyone interested in operating our Tournament Radio Base for the Simrad Raglan One Base on Thursday, Friday or Saturday (28th Feb, 1st & 2nd March). No radio experience required, will be given training. The person will be required to communicate via VHF radio and record all fish caught that are radioed in. This entry was posted in Club News, February 2019, Tournaments on February 12, 2019 by Taryn Olsen. More information or Online entries click here. This entry was posted in Club News, February 2019, Tournaments on February 11, 2019 by Taryn Olsen. Our Facebook page is packed full with plenty of information from our club and also around NZ. If your not following us – visit our page and give us a ‘like’. You do not need to be a Facebook member to view our page. This entry was posted in Club News, February 2019 on February 11, 2019 by Taryn Olsen. This is a gurnard challenge for the 2018/2019 fishing year commencing on 22 September 2018 through to 30 June 2019. The challenge is to encourage all Waikato Sport Fishing Club members to have safe family fun fishing out on the water. It is open to all 2018/19 members of the Waikato Sport Fishing Club (WSFC). The catch has to be recorded on a catch card and certified by a weigh master and caught under WSFC fishing rules. The catch card has to be provided to the WSFC catch officer by the 5 July 2019. 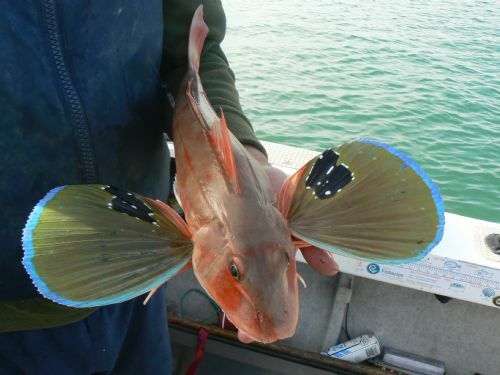 The gurnard catch will be reported each month in the WSFC newsletter. Barbara Dawn Challenge prizes will be awarded at the AGM. b) A drawn prize from all the gurnards weighed for a $250 cash prize. For the drawn prize the angler must be present at the AGM. If not present, there will be a redraw. The prize money has donated by the crew of the Barbara Dawn ($400) and the WSFC ($100). We are opening a pizza bar in the port town of Lyttelton. And are trying to find any old mounted big game fish – in any condition. Ones that are side mounted or just the head. The Tree People (Four Seasons Tree Care Ōtautahi Ltd). WSFC catches to date as of 31st January 2019. Please ensure you send all catch cards to our Records Officer via email or post as soon as possible – we would hate for them to miss out! This entry was posted in Club News, February 2019, Monthly Catch Report on February 11, 2019 by Taryn Olsen. This is to contact Coastguard Radio & initial contact for boats calling other boats. Channel 2 should only be used when all other methods of boat to boat contact have been exhausted and not for idle chatter. Together with the Rowing club and Hamilton Hawks, We have purchased an Emergency Defibrillator (AED). It is located about halfway along the rowing club wall facing the Waikato river. Over 9,000 locations are now mapped on this website and the Android and iPhone apps. Gareth Jenkin started AED Locations after teaching thousands of people how to use CPR (Cardiopulmonary Resuscitation) and AEDs (Automated External Defibrillators). During training sessions, he was often asked about AED locations. He knew that there were a lot of publicly available AEDs, but realised that they were worthless if people didn’t know where they were. People were dying within 50 metres of an AED because no one knew it was there. Publishing AED locations online would make it easier to find them in an emergency, but Gareth lacked the money and the technological know-how to make it happen. After The Listener ran a story on heart attacks and AEDs, Abletech approached Gareth to help. An AED can increase someone’s chance of survival by up to 80% if applied immediately. We aim to keep the information as up-to-date and accurate as possible. However we can’t guarantee that all AEDs will be accessible, in full working order, or still in the same location. AED Locations relies on the community, so if you notice out-of-date information, please contact us or add a new location. This entry was posted in Club News, February 2019, March 2018, Newsletters on March 10, 2018 by Newsletter Editor.